Idli is one of my specialty dish and also my most favorite breakfast dish. It is South India's most popular breakfast and also a very healthy dish.My family members and many of my relatives love my soft idlis and I have many fans for it. In fact my daughter used to tease me saying that after retirement you can open an idli shop. 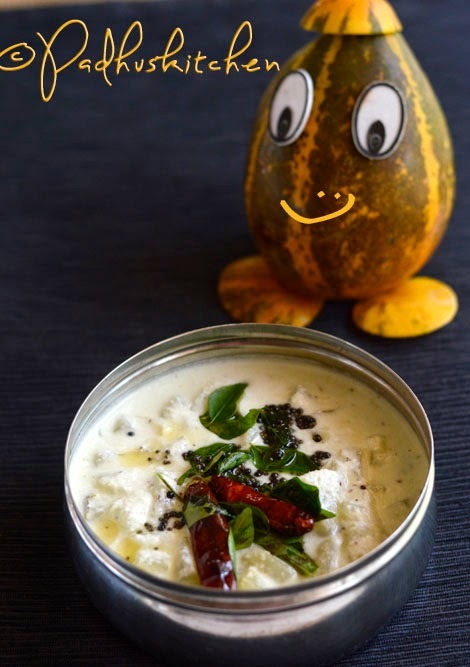 My late father is a big fan of my idli and will ask me for it whenever he comes and stays with me.Though I have already posted how to make idli, I wanted to give my readers a few more tips on how to make soft idli and idli batter recipe. 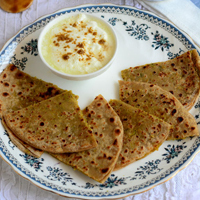 This is also a special post for all my North Indian friends out there. I have given two measurements below. 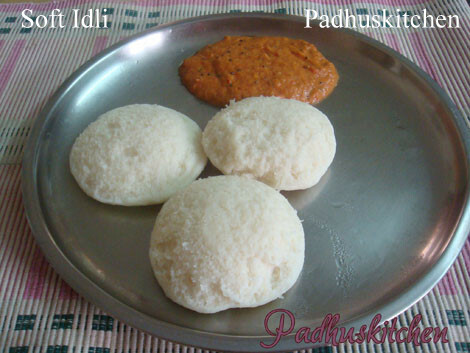 I have tried both several times and my idli/idlys turn out very well with both the measurements. 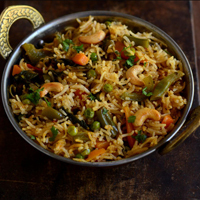 The quality of the rice and the urad dal is very important. 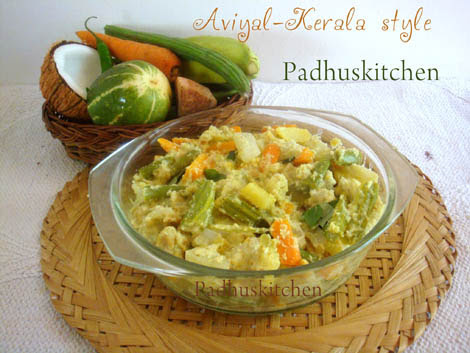 You get par boiled rice specially for making idli known as Idli Pulungal Arisi in tamil. 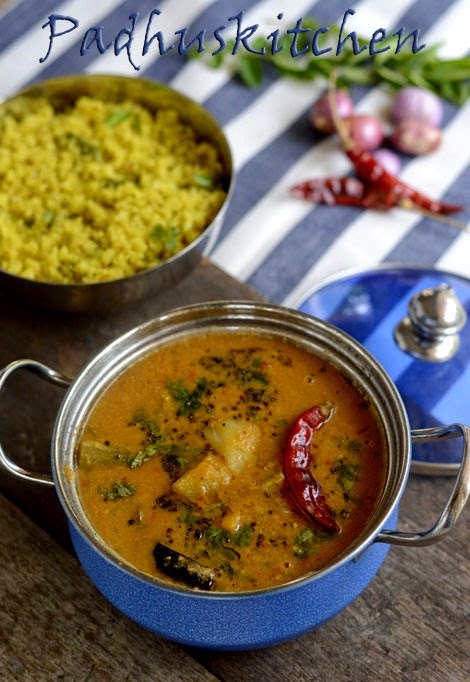 The quality of the dal is very important. 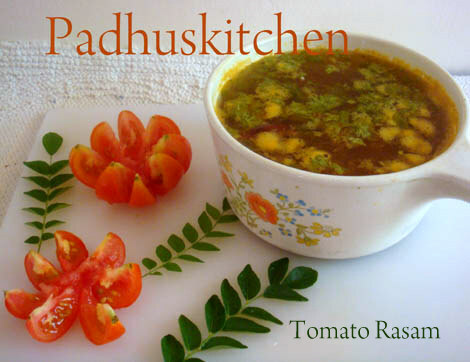 I use full urad dal without the black skin. 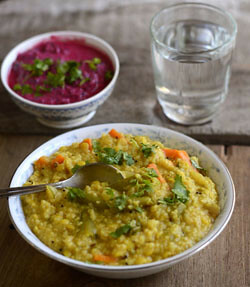 I never stock urad dal but will buy only what I need for a month. 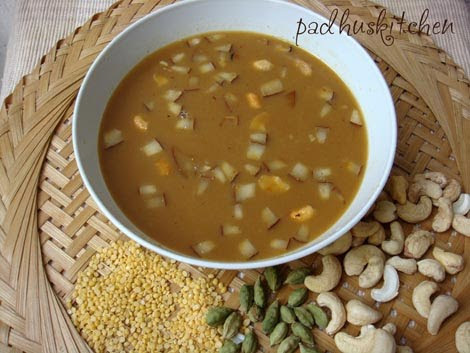 Do not use old stock or low quality dal or split urad dal which we use for seasoning. Just as quality is important, soaking time is also equally important. Wash and soak rice and dal for 5- 6 hours. 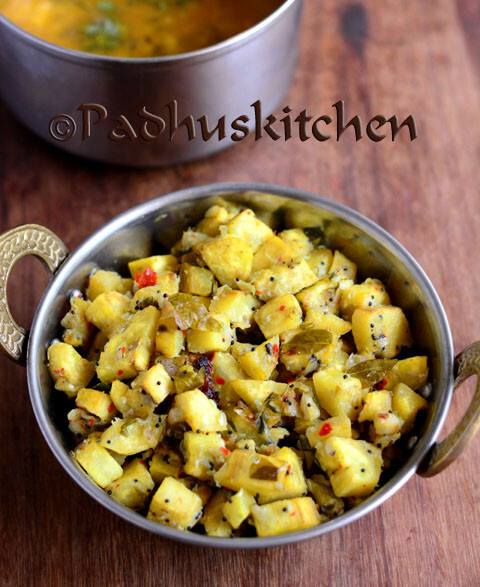 I personally, always prefer to use wet grinder for grinding batter for idli and dosa. The secret to soft idli lies in grinding and the consistency of the batter. First grind the urad dal well until it is light and fluffy. After switching on the grinder, do not forget about it. Check now and then and add water little by little to the batter (you can use ice cold water if needed). Then add the soaked rice along with little water. You should not add too much water in the beginning itself.You have to add water little by little, while it grinds. Grind rice to a smooth paste. 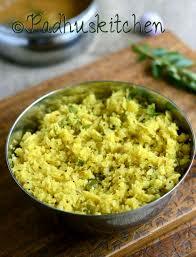 Then add the ground urad dal to the ground rice and grind for another 5 minutes so that it gets mixed well. Remove the batter from the grinder, add salt and mix well with your hands. Fill only up to half in a container leaving room for it to raise while fermenting. Just as grinding is important, the consistency of the batter is also equally important.If your batter is too thin, the your idli will turn flat. 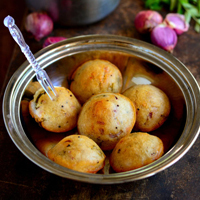 If your batter is thick, then your idli will be rock hard. So take care when adding water while grinding. That is the reason why you should add water little by little by checking the consistency. You must give at least 6-7 hours for the batter to ferment.This duration may vary depending on the climatic conditions. 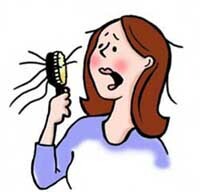 In winter it may need longer time and in peak summer it may require less time. The batter would have raised nicely, if it has fermented well. Look at the first picture (collage). I filled only till half and the next day it has risen well. I usually grind in the evening and leave it overnight to ferment. Mix the fermented batter well. Now it is ready for making idli. 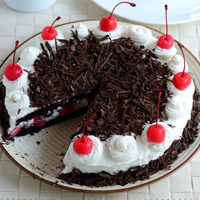 If you are not going to use immediately, refrigerate the batter. 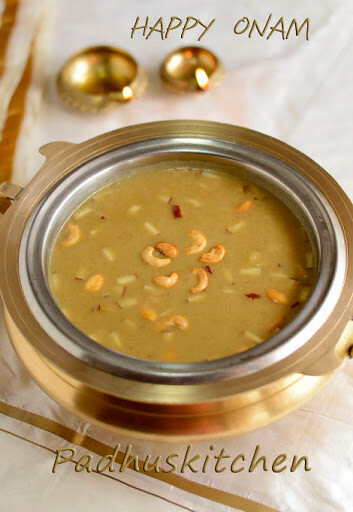 You can use an idli pot or a streamer or a kadai or a pressure cooker without weight for steaming. You can use any heavy bottomed vessel with a lid which can fit your idli moulds perfectly. The important point to be noted here is to bring the water to boiling point before steaming the idlis. I place a damp muslin cloth on the idli mould , then scoop out a ladle of batter and fill in the idly moulds, then close it with a lid.You can even grease your idli mould with oil but I usually prefer the first method for the lovely texture. Steam for 10-12 minutes. Insert a fork in the middle, if it comes out clean, then your idli is done. Invert the mould on a plate and gently remove the mould. 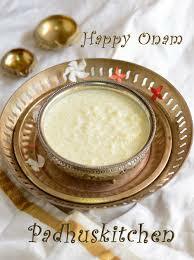 Sprinkle water on the cloth and gently separate the cloth from the idlis. 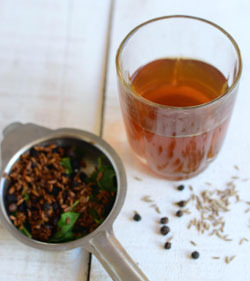 Serve hot with any chutney or sambar or just idli podi and gingerly oil. 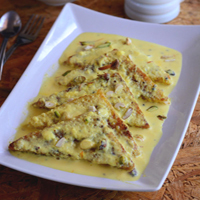 Check out Side dish of idli, dosa for more recipes. Wow! Look at the texture - so soft and spongy that it melted in our mouth. To summarise, the trick in making soft idlis lies in the above 6 tips. The above factors play a great role in influencing the quality of your idli. If you do not get perfect idli,then do not loose heart or give up, with trial and error, you can master the art of making soft and spongy idlis. I feel so happy in sharing with you all my soft idli secrets. Good Luck!! Idlee have been my fav. ever since like forever ! They sometimes are soft and sometimes hard..now I can try to make them sfter always..
Perfect.I have a company in you for exactly the same method.No adding Methi,Poha or Soda.Long live the Soft Idlis!!!!! WOW! IDLI LOOKS REALLY SOFTO SOFT.I always use the same way as you said in recipe 2.I loveeeeeeeeeeeee Idlies very much. such a nice and helpful post. awesome! 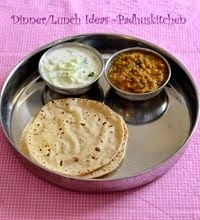 !thanks for sharing such a detailed and informative post...I make idlis with split urad daal and add normal salt..your idlis look super soft..will try your version now..
How to prevent the steam water standing on top of idlies while cooking in pressure cooker? Iam your new subscriber and am happy to be apart of your blog. I accidentally happened to lay hands on your blog and I instantly liked it I have already tried some of your kuzambu and rice varieties and they came out very well.thanks a lot. Honestly, I must admit that your are a creative person which is evident from your skills and colourful display of the dishes. That's great,indeed. Once again thanks a lot for the recipes. I have never seen anyone explaining the recipe to get successful soft idlis like you have done here. Great work on that !!!! myself being a child nutritionist, i found this site accidentally looking for good nutritional breakfast ideas and instantly liked your varieties. In my meal plan to all my clients i will be including your site for lots of ideas for moms intending to give nutritious meal to their family. 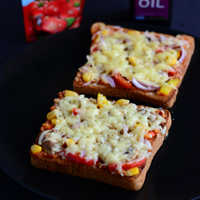 Keep it up and keep us all posted with interesting recipes. Thanks for the tips; However the batter that i make with recipe as given above gives out good idlis for 2 days or so and after that the idlis come out rockhard. do you have any suggestion on this ? 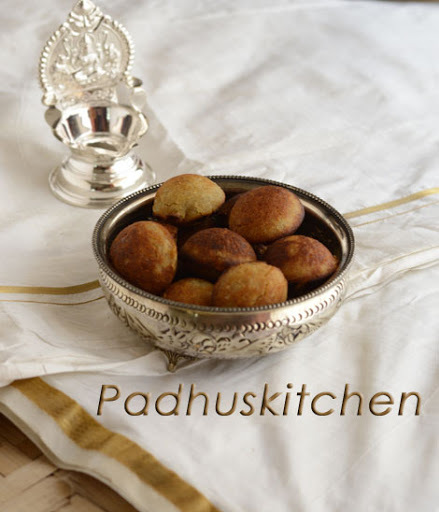 I have written that you can make idlis only for 2 days with the above measurements.You can use the rest of the batter for making dosas or uthappams.As the batter will start becoming sour, you cannot make idly after 2 or 3 days with that batter. 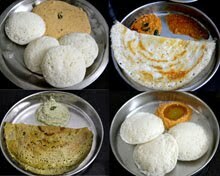 Hi Can I use the same Idli Mixture for Preparing Paniyarams... ? 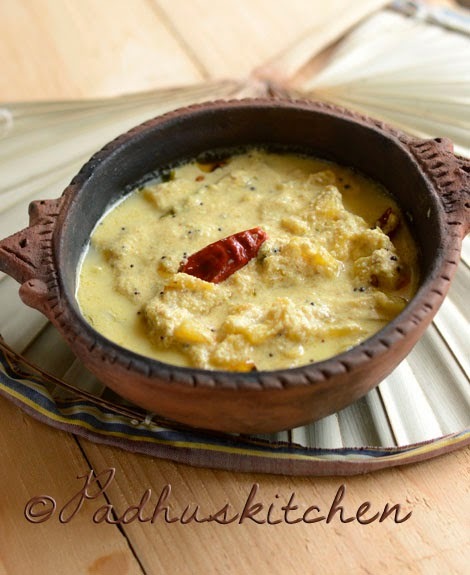 We can make kuzhi paniyaram with leftover idli batter. In last pic we can see red chuttany with idli. what is this? 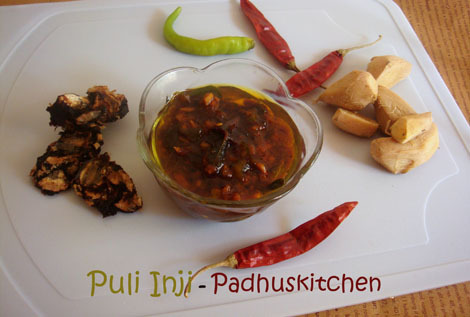 pls describe the recipe and also pudi powder. I have the same question as Ravi Krishnappa, alternatively can you upload a video, so that we can observe how exactly the texture will look like and when to add water and how much. 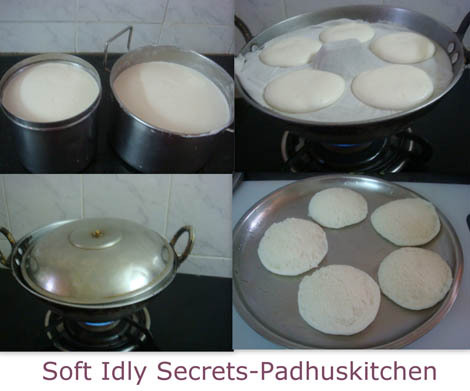 One major issue I have in making soft idlis is not related to any of the above tips but actually lies in my hands (the yeast in the hand which leads to fermentation of the batter) which I discovered and no site mentions about this aspect. 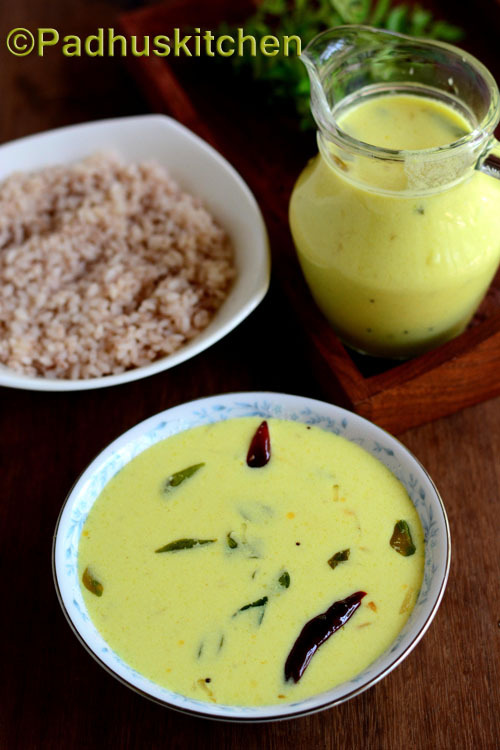 I use exactly the same procedure and measurements my MIL uses, but if she grinds the same and mixes with her hands, the batter ferments well and raises to double height and the Idlis become super soft. If the same batter I mix with my hand the batter refuse to ferment and remains flat (not even a centimeter change in terms of raising), I just didn't understnad why is it so and realised the secret lies in the hand which mixes the batter. My hand absolutely lacks the necessary ingredient (I think bacteria/yeast whatever is responsible for fermentation). 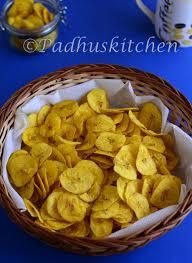 And this is one major important aspect for soft idlis. 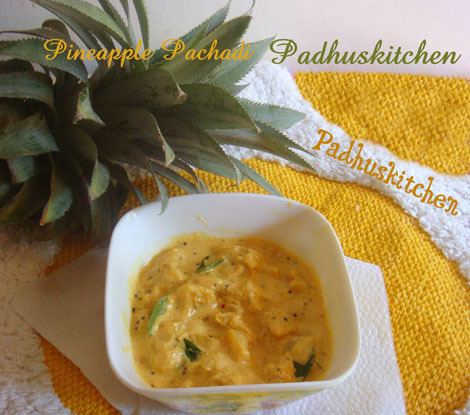 So I tried adding little poha, sour curd etc, but without much success, I heard Indians in USA/cold countries use Eno for fermentation (I am yet to try this), else due to freezing weather, the batter doesn't ferment. I tried keeping the batter under little warmer condition in rice cooker after grinding but not much success. My failure rate to make the batter ferment is very high and I will appreciate tips from anyone who can help in this regard. Any tips to overcome the MAGIC HAND requirement ???? This question was asked long back. Here is my experience in US. We lived in a house which had water from boar well. Idli/Dosa batter will not ferment even after 2 days! Now we moved to another house and water is different. 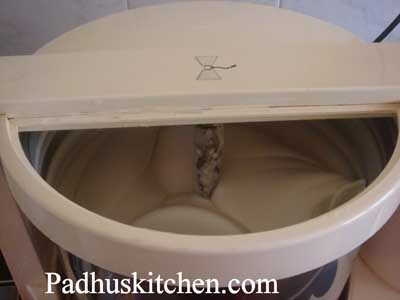 Now Idli batter ferments by next day. So using water with no ammonia in it helps a lot in the fermentation process. If you are living in foreign countries the best way to ferment the batter is to keep it in oven and turn the light alone on! It works out for me and I live in Melbourne. I too had the same problem. In this case try to mix the batter for some more time. Say for 5-10mins. Also as Princess said place it oven and switch on the lights. Excellent tips for Idli making. I also found that Idli dough fluffs better when done in wet grinder rather than Mixi. Lately since waeather in LA area above remains 90F, dough fluffs good double overnight, otherwise in cold days it takes more than two nights. 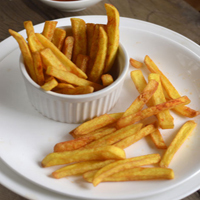 First time heard that salt is added after the dough is made rather than after being fluffed. 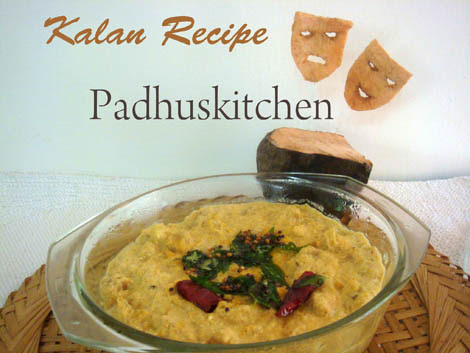 Thanks for sharing idli recipe. Looks yummy. I will for surely try this. @ Kousalya - U can preheat the oven for a minute and leave the batter overnight in the oven. Hope this tip helps. My Mom and Ammaachi make ultra soft Idlies... Here's the secret. They soak soya beans (available exclusively for idlies) for 8 hrs or overnight. Peal off the skin and grind separately. 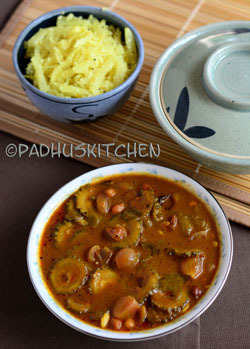 Mix along with rice and dal. 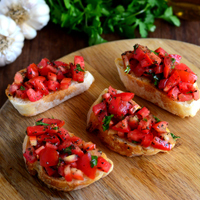 how to make that tomato chutney? 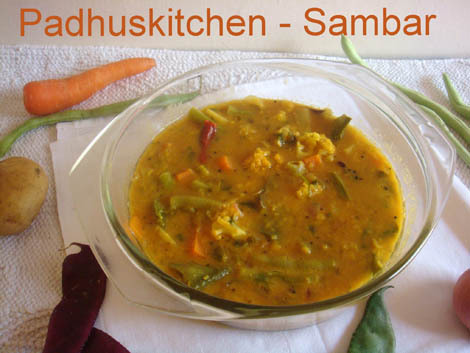 I am yet to find a good recipe for Udipi type sambar (that you normally get in small restaurants in Bangalore). Great method and recipe - thank you. But any chance you can add some detailed steps to the "dough should be light and fluffy" in 40 mins? as in - details on what it will be like in 10 mins then what in 20 mins etc. So I can keep track of what light and fluffy could be, what watery could be or what sticky could be? I am sure once you get it right once, it can be repeated, but its the minor details in steps that can help achieve that goal :) thank you much! Happy New Year to you. I read your comment. 1. 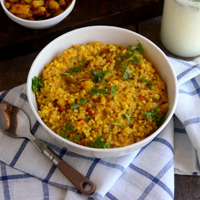 The ratio of rice : whole urad dal can be 3:1 or 4:1 Why you are using 2 cups urad dal. 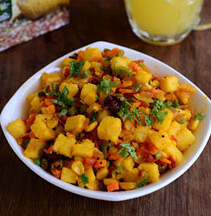 3.Wet grinder is best for making idli and dosa.It is ok if you do not have it. Grind the urad dal until it becomes fluffy.Keep on adding water inbetween while grinding and grind well. 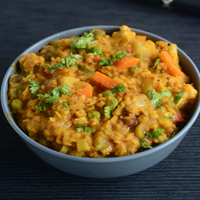 The urad dal batter should be light and fluffy and not sticky. 4. If the final batter is very thick,then your idli and dosa will be hard. If it is watery ,the idlis will be flat. So you must not add too much water nor very less water. 5. 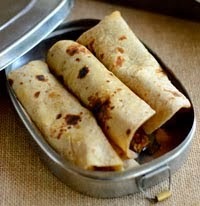 Also if you have kept the batter in the refrigerator after fermenting, bring it to room temperature before making dosa. so that you will have more idea. 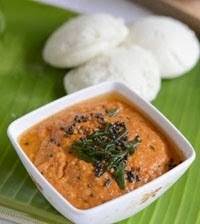 I have been trying to learn how to make idli - but no luck so far. do you think it is because I use a high-speed blender to grind? It could be one of the reasons as we grind urad dal for 30-40 minutes in wet grinder until fluffy. 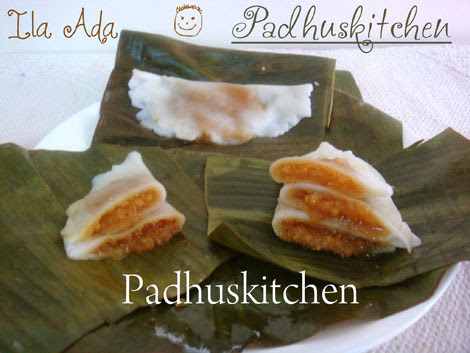 Also read my other post on how to make soft idlis - you will get an idea. Really very informative. Excellent article. 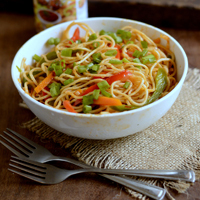 Love your blog & recipes. Thanks for sharing Ms.Padhu. 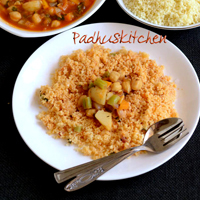 for making soft idlis, can I use sona masoori rice & whole urad dal in combination of 4:1? I have not tried experimenting with sona masoori rice. 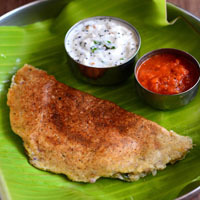 You can half the recipe (ie) 2:1/2 and try it.If idly does not turn out well, you can always make dosa with that batter. Try and do let me know. Can you please share which wet grinder you use for grinding? Also let me know can we run the grinder for 40 mins continuously? cos when I grind the better in mixer/mixie it got tripped after 15-20 min. pls suggest. I use ulta table top wet grinder (see picture above) which is available commonly in India. I run that ultra grinder for more than 1 hour at a stretch.I am having it for more than 10 years and it is still working fine. You cannot run the mixie for that long time. 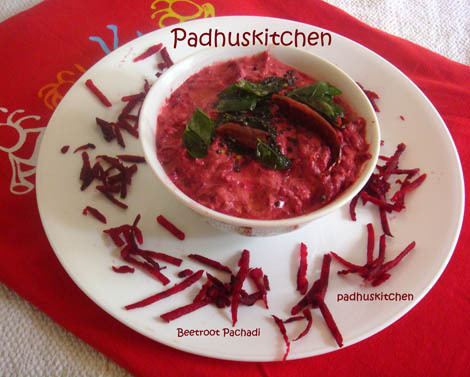 hi padhu , iwould like to say that this much urad is not required. my mom do it for lots of years. 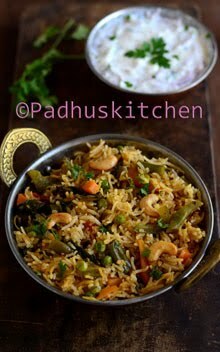 if the urad is old 4:1 and if it is new 5:1 in that i add 50% pazhaya pacharisi and 50% par boiled rice. while grinding in wet grinder the rice is ground in such a consistency that when u sample, it feels like rava mixed to the rice batter. 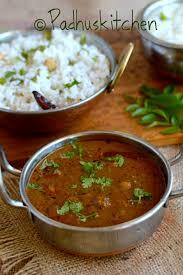 and plus i leave in north india and i use split urad dal and the ratio rice:urad is 6:1. please try. 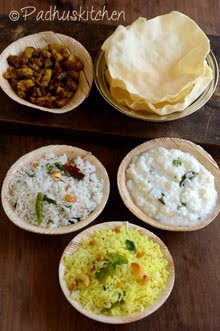 hi padhu its very nice of u to share this recipe with us but i what i want to know is what is this idli rice here in bombay i get this rice for idli and dosa but that is the thick variety and is white only in colour. can u kindly tell me which one to use here the sho[pkeepers do have a thick brown colour rice they say it is boiled rice can ni use that one please help because i also love idlis very much and till now i have been making idlis from idli rava they also turn out soft but i want to learn to make this rice idlis please reply. 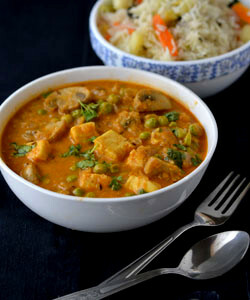 Idli rice is par boiled rice which you get especially for making idlis in South India. I am not aware of Bombay. Sorry for the delay in replying as there was a problem with my net connections.Read the comments also above, you will get lot of ideas. 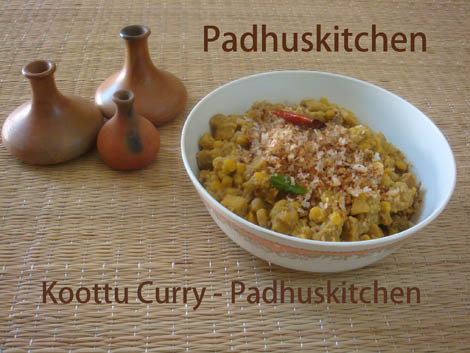 Hi Padhu, I am the regular visitor and follower of your menus. This is the first time i tried idli using cloth, it came out sooo well :-) the texture, the size everything was so good. Thanks a ton for your tips. 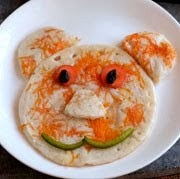 nice colourfull idli presentation & kids like it very much. Thanks for sharing your secrets :). My wife and I tried today and almost everything got done as per your advice, except one thing. While cooking the idlis remain wet for long and even after cooking 25 mins they remain wet. Can you please advise what might be going wrong? 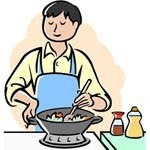 Abhi - The reason is that you have added too much water to the steaming pot, so while cooking the idlis the water has come up. Once the water starts boiling, reduce the flame to medium and pour the batter in idli moulds. Also do not add too much water in the steaming pot.There is hardly any chances for the idlis to go wrong if you follow the above tips. Thanks for the method of idli preparation. 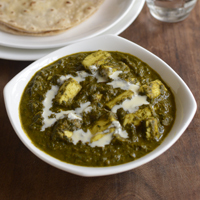 Apurva -It depends on the quality of urad dal. If the urad dal is fresh (new stock) you can follow the 4:1 ratio. Now a days,I buy branded urad dal which is too good. So I follow the 4:1 ratio and I get super soft idlis. I love idlis esp soft ones... Thanks for the tips ..
Love your site .My reference point. Thank you so much Meera for liking my site. To my knowledge, it is not possible to prepare soft idlis with raw rice. Only for dosa we use raw rice. Hi Padhu, The site construction is very attrtactive. Any way we can prepare soft idli using raw rice two units with one unit boiled rice. 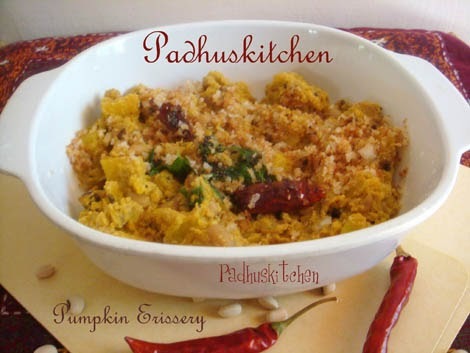 Do you have a recipe for roasting and powdering spices to make pulao as and when required? 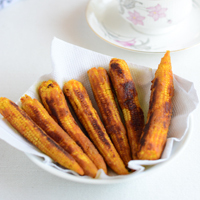 I know main ingredients would be black pepper, cinnamon stick, elaichi, cloves. However, would like you to share your expertise. I guarantee that would be very different and much better. Even when we choose the idli stand and steamer also important. If it has holes in moulds ,only the batter made from grinder will be suited. and It is good if has whistle for steamer. 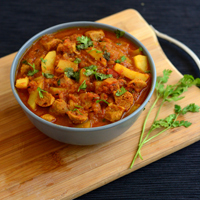 Thanks for the recipes in simple and easiest way. Its work out. really superb work step by step way of explanation is very easy. Step by step explanation is very easy to catch up the recipes. 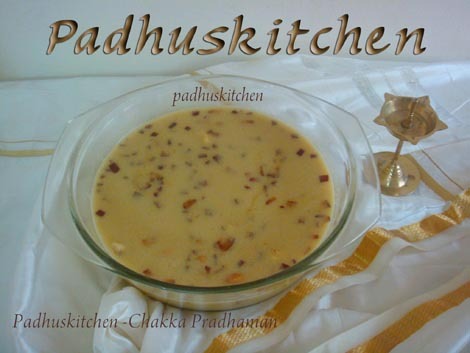 Easy and simple way to know the recipes preparation is really superb. I recently got my wet grinder from tamilnadu to uttar pradesh by way of courier. Its really easy to prepare the batter by grinder instead of mixie. My mixie used to repair or broken the plastic lid and burn the motor while i prepare idli batter I was very upset and ordered through courier and got the grinder through snapdeal in a cheap rate. Now its work out. I prepare idli batter and started selling it also. The notes for the dishes i lost after white washing the house. While surfing for the dishes in net yours site came. I like and love it. Each recipes preparation are there. Hi padhu, I live in Germany. I prepared idli batter for the first time using mixie. 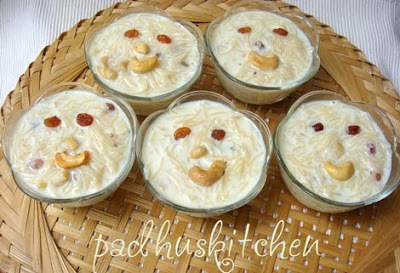 Generally for milk to become curd, I leave it in the baking oven overnight with just light switched on. In the morning it gets perfectly fermented. So i tried the same with batter but even after 12hours in the oven it didn't get fermented. What do you advice in my case? In colder places, it will take a longer time to ferment. Keep it in a warm place.Also try mixing the batter with your hands. 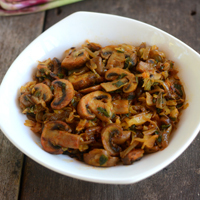 The warmth of your hands might hasten the fermenting process. how long should i grind the soaked rice ? 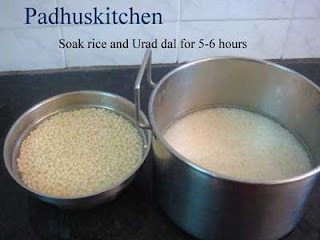 ... you have mentioned 40 minutes for urad dhaal ..
You should grind rice until slightly coarse. Timings may differ depending on the grinder used. For me, it takes around 20-25 minutes as my ulta grinder is a little old (so the grinder belt will not be tight). For how many days this batter can be used if 4 persons eating 4 idlis? It depends upon the number of idlis a person eats. Mostly it will last for 2 or 3 days. I do not like to keep my batter for more than 4 days. Hi padhu,what is crystal salt?is it khada Nanak? It is rock salt called kalluppu in Tamil. 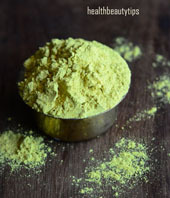 I have not idea about the powder guar. You can have the batter only for a day or two at room temperature. It will turn sour if not refrigerated. 1 cup is 200 grams. It will change depending on the ingredients. I use standard measuring cups and spoons for all my recipes. Check my measuring spoons and cups .For this recipe you can use any cup measurement. Hi Padhu, you have a gr8 site n I tried this batter recipe to make dosas (I'm too premature a cook to venture into idlis) and my batter rose beautifully only to flatten up once I mix it. Is that because of the extra water in it or is it normal for the batter to be not so fluffy the next day? Thank you for liking my website Vanita. If you mix the batter, it will reduce a little but still will be fluffy. It is due to extra water. 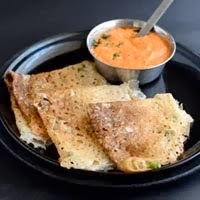 It does not matter for dosas. Dosas will come out well. Only for idli the consistency of the batter matters. Of course, you can add. I just got newly married. And my marriage is working out great because of you. Thank you so much for that. 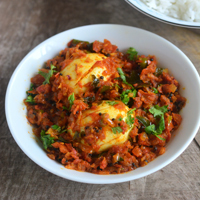 I use whole urad dhall for idlies and it comes out very well. 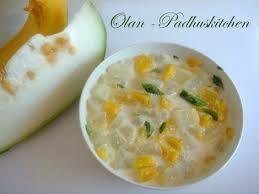 Now by mistake I got split urad dhall. And I have got it in very large quantity. Can we use that for idly? I heard we can use it,but should add little more than usual. 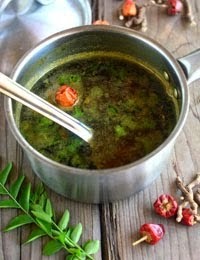 Say if we use 1 cup usual then I have to use split urad dhall for 1 and 1/4 cups. I'm not sure with this. Want your opinion on this. Thanks a lot for the wonderful work you do! Thank you Princess for your kind words. Glad you found my website useful. 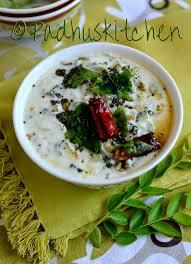 I suggest that you use that split urad dal for idli milagai podi, thuvaiyal, seasonings and for dosas. I have tried your recipe but my idlis come out really hard. But my Par Boiled Idli rice is atleast a year old. Does that matter? Yes, it matters now a days. If the consistency batter is too thick also, you will get hard idlis. Suppose I take 1 kg rice and take 250 gram urad Dal so what is the final batter quantity in form ok kg? Thank you so much mam. I got fluffy and soft idlis referring to the mentioned measurements. I tried this.came out very well. Thank u mam.now i came to know the secrets of soft idli. How long can we store the batter in refrigerator? You can store idli/dosa batter in the refrigerator for a week. Both are different. Not sure how they are different. 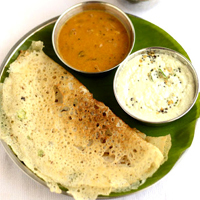 Try using parboiled rice, if idli does not turn out well, you can definitely make dosas. Hi mam, i am runbing a hostel. I need 40 kg idli/dosa batter everyday. How much quantity rice and dal is needed to get 40 kg batter. Yoyr reply will be very helpful. Thank you. 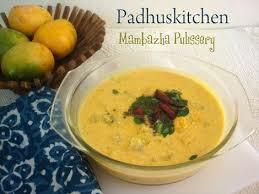 Hi Padhu I really love your recipes and tips. I always get good idlis following your method. Yesterday it happened that I soaked urad dal for almost 16 hours and then ground it. Mixed with idli rava and left for fermentation overnight. It fermented really good. But idli are smelling of over soaked urad dal. Should I discard the batter? Or is there any fix available. Thank you for liking my recipes and tips. 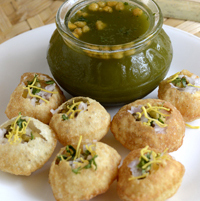 To get rid of smell from over fermented batter - you can add plenty of finely chopped onions, green chillies, coriander leaves and make uthapams. Solution 2 - add a glass of water, do not mix. Leave it for an hour. Then discard the water which stays at the top. It will reduce the smell of over fermented batter to some extent. 1. My idlis are turning yellow. Is this related to the quality of the rice or the urad dal or both? 2. Can I also prepare the idlis in 2:1 ratio? Regarding your doubts - Idlis turning yellow because the batter is over fermented. If you are using mixie to grind your batter, grind leaving frequent gaps otherwise the mixie gets heated up and that will affect the batter. Quality of the urad dal also matter. 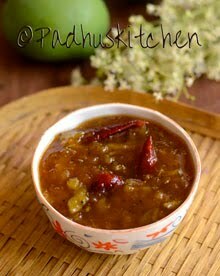 Do not use old stock dal. 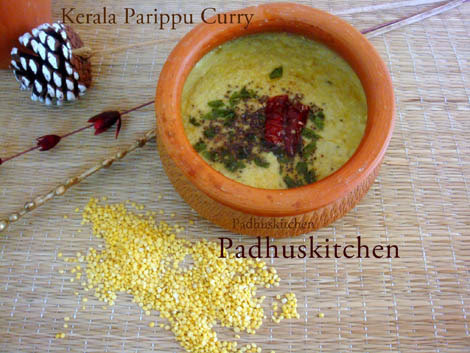 You can make idlis in the ratio 2 : 1/2 - that is for 2 cups of idli rice , use 1/2 cup of urad dal and 1/2 tsp of fenugreek seeds.